The letters for all my handmade decor I bought from Michael’s and the fringe paper and vases as well as tissue paper from the Dollar Tree. The baby blocks are actually gift boxes covered in fabric which I found at Wal-Mart. 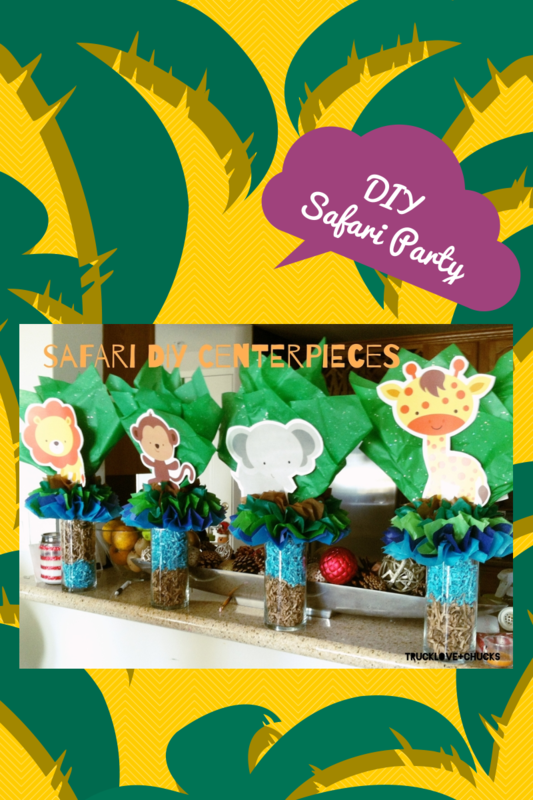 It was not easy finding a base for these blocks, I looked online and in many stores and decided to go with the gift boxes and they worked wonderfully. I love this elephant and how cute this came out. 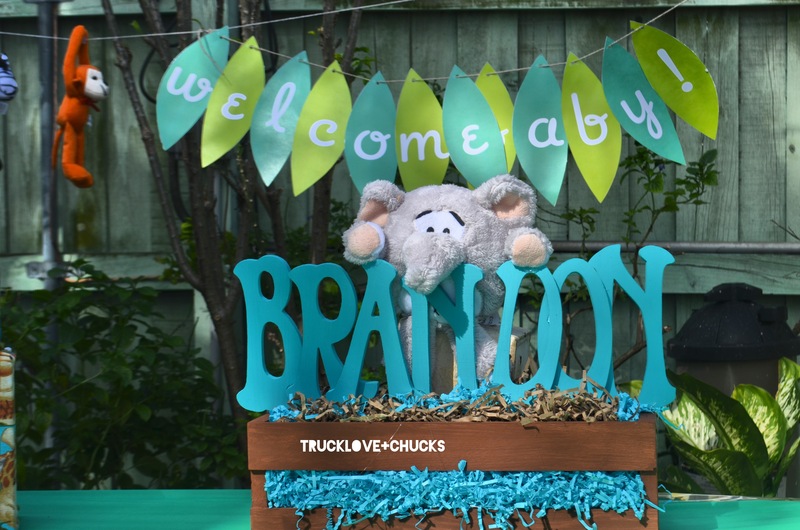 I painted the letters and crate and hot glued this cute chubby elephant I found at Big Lots for $3. Under all the fringe is a random bow I had at home to hold everything together. The outside of the house went perfectly with the theme. 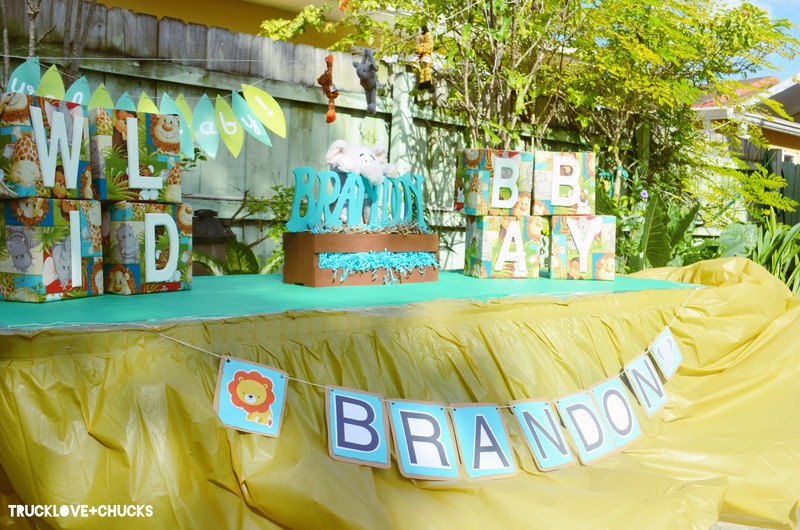 Baby Brandon was celebrated wonderfully in the jungles of Miami. A bit too late but, hope everyone had a fantastic Easter Sunday with family and friends… thats all it is about… appreciating our loved ones everyday. 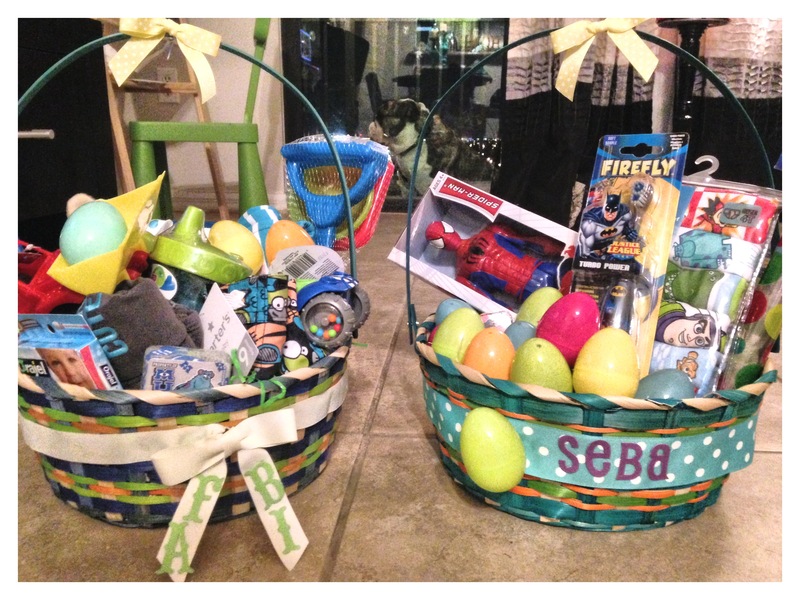 These Easter baskets belong to my son and godson…. Not much DIY here but the ribbon, bows, and personification. I bought the standard baskets at Target, looked in my craft office and used some left over ribbon to personalize the baskets. I had cardboard paper letters and hot glued those one. My sons is on the ribbon and I added my godsons to the bow. There’s always a way to make a gift unique with simple touches. Both gifts were budget friendly, I always make sure that for Easter I get the kids 1-2 small toys and the rest is things they need or books. And of course the sweets! 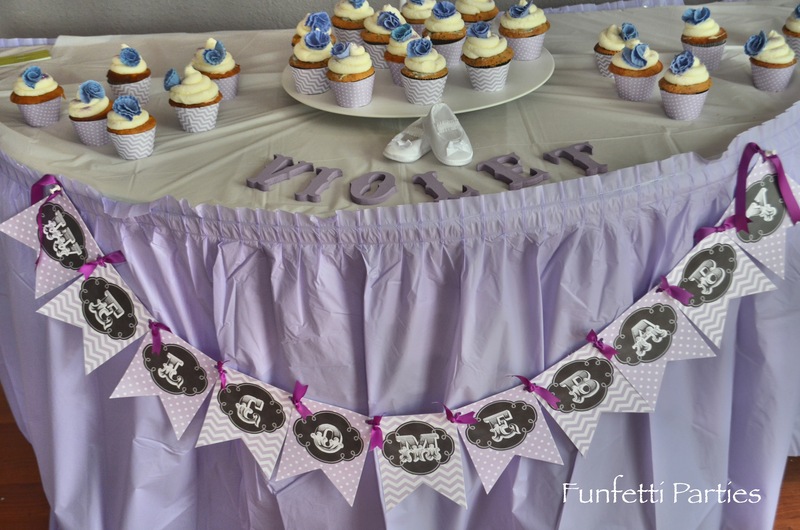 Baby Violets Baby Shower. All decor was handmade, I bought the cute paper decorations from an Etsy shop, but I can’t recall the name right now. When I do I will make sure to add it. I made sure to use different shades of purple. I wanted it to look fresh, modern, simple, and cute. It was a friendly budget shower so I had to make sure it looked cute but not cheap. 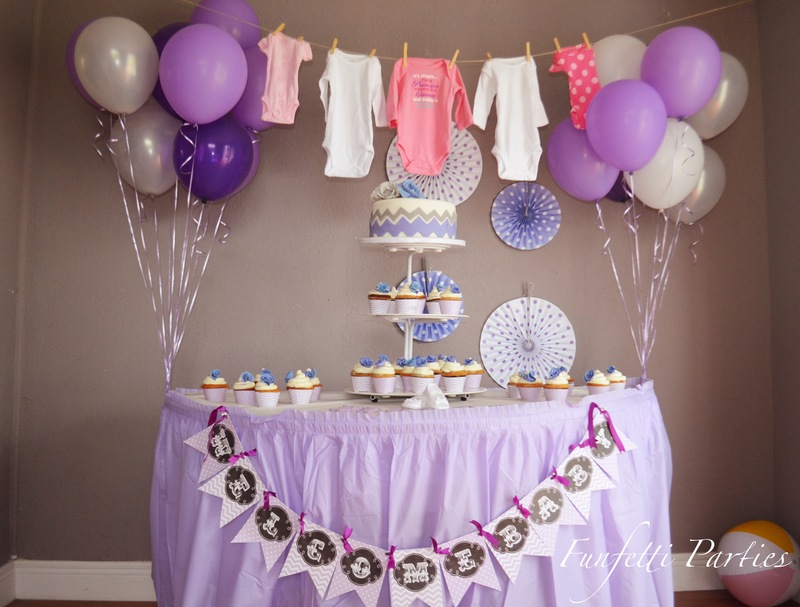 I bought a dozen balloons, 2 packs of 0-3 month onesies from Walmart and I ordered the purple polkadot fans from Orientaltrading.com. 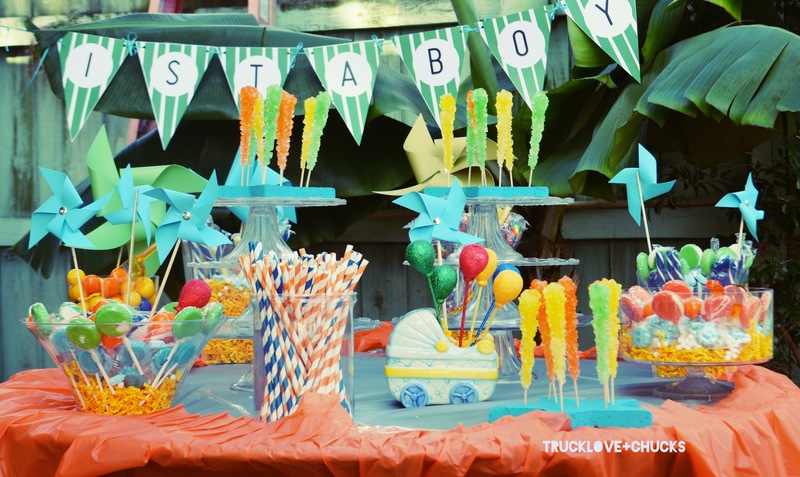 The plastic table cloth was bought at Party City. Since, I was on a tight budget I made sure the cupcakes had some cute wrappers. Again, when I figure out the Etsy shop I will inform you all. “Violet,” are separate wooden letters bought at Michaels for about $.98 each and the lavender paint on it is one I’ve used for years (Craft Smart – Orchid acrylic paint) and it is wallet friendly. You can find them in many places but I got mine at Michaels for $.75. 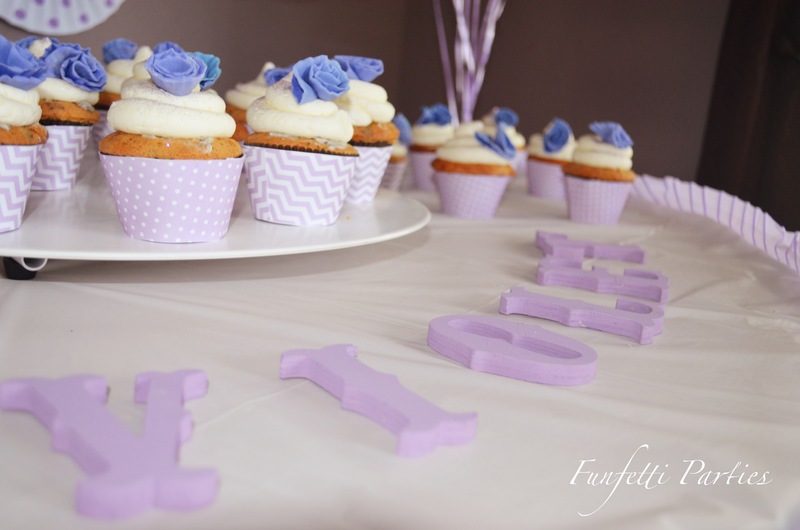 The baby shower was a hit, the mommy to be loved the simplicity of it and of course the violet.